Its an honor for me that Brazile was the very 1st player written about in this series of all players who belonged in Canton who had yet to make it. Keep in mind when Brazile went into The Gridiron Greats Hall of Fame in 2016 the words of this article before this postscript was read to introduce him on that June night. It was great to catch up to him late in the evening after The Gold Jacket Dinner at the hotel and again at the airport as we were all leaving Canton. As we near the 2018 Hall of Fame Induction Ceremony it’s impossible not to look back at how we got here. It seems surreal as so many fans didn’t think we would see the day when Jerry Kramer would get that call to the hall. That knock on the door. Where our odyssey began was the birth of all this love of football which started in the summer heat in Denver Colorado 1977. Outside throwing a football around when I came in to cool off and an “NFL Presents” had a special on “The Ice Bowl.” I can remember being glued to the tv as the Packers and Cowboys played in what looked like ungodly weather. Of course with John Facenda’s narrative he made the names of Vince Lombardi, Bart Starr, Willie Davis, Tom Landry and Jerry Kramer become etched in my mind. Several weeks later school had started and my 2nd grade teacher Mrs. Carmen and I were in the library and she gave me Jerry Kramer’s Instant Replay to read. After that I brought home at least 3 books on football a week or was reading the old NFL Punt, Pass, & Kick books at the Boys Club. Of course when I wasn’t outside playing football but the pilot light was on and I wanted to read more first on Kramer’s Packers and beyond. Fast forward many decades and into the social media age and I looked up a couple of random old school football players and connected. Jerry was one of them. Of course to say hello and was a fan of his and make a mild acquaintance. Then in early 2010 things changed… Bored with several business writing courses I decided to write a few short stories based on championship teams to get people talking about football on Facebook. I grabbed a series of Super Bowl and conference championship rings and wrote 15 abstract stories based on what I knew of those teams and could share beyond a box score. One of which was “The Ghost of Vince Lombardi” and the strange circumstances that befell every 2 time champion trying to win 3 in a row. Yet it was Jerry and several former players responding to the story of the Baltimore Colts not receiving a ring for losing Super Bowl III is when the “Aha” moment came. Like I said I was just trying to get Vance Lockett and a few football fanatics to talk old teams and in one day afternoon more than 500 email notifications while I was out with Edie. That validation is what started me writing and accumulating articles here. When thinking of content to write about I thought of players who hadn’t made the Pro Football Hall of Fame who should be. If I were in that room with the writers, what would I say to make my point and deflect counterpoints before they could take shape? On July 26th, 2011 I penned Jerry Kramer Belongs in The Hall of Fame which was read and widely shared. Alicia and I had become friends then and our conversations began. You wouldn’t believe how many posted and emailed saying they thought Jerry was in already. No… he isn’t. One of the first conversations was with the late Dave Edwards who played across from Jerry’s Packers in The Ice Bowl for the Cowboys. Then Alicia embarked on her journey to raise awareness that her father Jerry, an all time great, had yet to have that “knock on the door”. Alicia asked if I would help her with the page and without hesitation let her know that I would. I was known for uploading a lot of football footage from all I had recorded from 1982 to the present. So up went “The Ice Bowl” several America’s Game’s for the Lombardi Packers and she grew it from there. All the while asking people to write Joe Horrigan and the Pro Football Hall of Fame on behalf of her father being selected. She grew that group incredibly quick and a sea of Packer fans flocked to the group in support and the letter writing took off in earnest. Posts with autographs Jerry had given fans over the years, publications shared and everything Jerry to keep the movement going and raise awareness. There were some disappointing days when Jerry’s name didn’t make it past the semifinal round. Then when it looked like February 2016 as a finalist… this would be it! No knock on the door. However Alicia was the first to tell me Kevin Greene did get in from the hotel in San Francisco and 6 months later I was preparing to go as Kevin and Tara’s guest when I said “Alicia, you have to send me something to wear as a political statement” to which she agreed. Fully expecting a JK for the Hall of Fame t-shirt, I opened the package to an autographed jersey. I told her I’m wearing it into “The Hall”. Now keep in mind Brett Favre was being inducted also and Packer jerseys were there 10-1. As I toured the autograph area and bunched in with fans trying to catch a glimpse at HOF members going in and out of what I believed was the Nitschke Luncheon. “Jerry should be in the hall!” “Open your doors for #64!” was shouted at least 100 times by Packer fans in the few hours before entering The Hall. Even met my friend Ryan VanAcker entering the Hall of Fame because of my wearing Kramer’s jersey. Now 2 years later we’re attending Jerry’s enshrinement together from Arizona. Now we’re just 48 hours away as a 7 year march for TBT and a 46 year march for Jerry concludes Saturday evening. To watch Alicia and Daniel keep up the march from the Facebook page over the years has been special. Especially Alicia as I watched the movement grow from an idea to former players rallying and writing letters, even former Hall of Famers lending their names. Proud of all the work she put in and tirelessly worked toward. I am happy to have been a part of it as a weekend that at times felt would never arrive, is actually upon us. There will definitely be a few glasses of wine to celebrate Jerry’s enshrinement. A lifetime achievement where he will be recognized as a giant of the game. He’s always been one… its just time for his official commencement. The Chancellor of Football will be boarding a plane in less than 24 hours. I just had to chronicle this before we gather in Canton. Congratulations Jerry Kramer, you’re a Hall of Famer! When Shannon Sharpe was inducted into “The Hall” back in 2011, pundits began to voice which of the new breed would be the next TE to get into Canton. Would it be Tony Gonzalez, Jason Witten, or Antonio Gates?? There is even outside talk of former Patriot Ben Coates as these were the dominant men at the position over the last 25 years. Uhhh… wait a minute… How did we get this far without mention of former Oakland/L.A. Raider Todd Christensen?? A man once cut by the Dallas Cowboys found a home in Oakland and became one of the main targets in the heyday of the AFC West. The question that arises is how did we forget Christensen?? Was it the fact he was a specials teams player who didn’t start until his 4th year?? Or is this more bias against the late Al Davis’ Raiders?? In 1980 the NFL was marveling at the performance of future Hall of Fame TE Kellen Winslow in San Diego. When he burst onto the scene with 89 receptions, a record for Tight Ends at the time, for 1,290 and 9TDs. He became the measuring stick for all who would play his position especially with this only his 2nd season. When he completed the ’81 season with 88 receptions only future Hall of Famer Ozzie Newsome was anywhere near Winslow on the marquee. Or so pundits thought. In 1981 after becoming the 1st defending Super Bowl champion to finish with a losing record (7-9) the following season, the Raiders had to make changes. The 1st is they moved to L.A. then drafted super back Marcus Allen then following an old Raider tradition, converted a former running back into a Tight End…. Todd Christensen. If you went back 2 decades before, the Raiders converted former Heisman Trophy winner Billy Cannon from RB to TE and sparked their run to Super Bowl II. The ’82 Raiders had the NFL’s best record in a strike shortened season at 8-1, and Christensen finished 5th in receiving among TEs with 42 receptions for 510 yds and 4 TDs. Although the Raiders were upset 17-14 by the NY Jets in the AFC playoffs, a star was born. The next year saw the Raiders cement the notion they had supplanted the Air Coryell Chargers as the best of the AFC West. Every great player needs a signature game and in the 14th week of 1983 the Chargers were hosting the Raiders in a special Thursday Night telecast. To add to the excitement both Christensen and Winslow were on pace to tie or break Kellen’s TE record of ’89 receptions set in 1980. In front of a nationwide audience Todd proved his worth. Buoyed by this great performance the Raiders propelled themselves to the AFC’s best record at 12-4. Not only did the Raiders go on to win Super Bowl XVIII, Christensen unseated Winslow as the game’s premiere tight end as the loss also ended the reign of “Air Coryell”. His 8 receptions 140 yards and 3 TDs completely outshone his Charger counterpart’s 4 catches for 30 yards. This was the difference between Todd’s record of 92 receptions to Winslow’s 88 to conclude ’83. 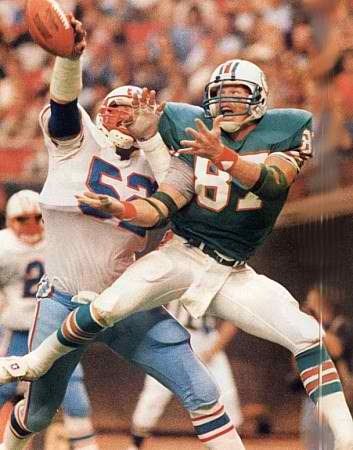 As injuries slowed Winslow it was Christensen who went on to maintain Pro Bowl level of play through 1987 when he went to his 5th straight. One aspect of a Tight End is to remember the primary role is to be a blocker. In the ’85 campaign he helped pave the way for NFL rushing champion Marcus Allen who ran for 1,759 yards. The following season he broke his previous NFL record for TEs as he nabbed 95 balls for 1,153 yards and 8 scores. He led the NFL in receptions in 1983 and 1986 for all receivers not just Tight Ends. In an era with 2 other Hall of Fame TEs Christensen had the best peak years. Now to be fair, Winslow and Newsome’s years include the strike shortened ’82 stanza which only had 9 regular season games. However keep in mind Todd was on special teams as a long snapper, set 2 receiving records at TE and blocked for 1985’s MVP and rushing champion Marcus Allen. Then don’t forget one of those record setting season was for a world champion when they won Super Bowl XVIII 38-9 over Washington. Keep in mind his record for receptions in a season at TE was broken in 1994 by Ben Coates by 1 reception (96). Tony Gonzalez broke it in 2004 with 102 receptions, however Todd is the only one to have set the all time receptions record for a TE twice. This isn’t to take away from the 2 gentlemen in “The Hall” from the same position, but how can Winslow (inducted in 1995) and Newsome (inducted in 1999) be in and we don’t even hear Christensen mentioned?? Is it because he was a late bloomer who went on to star on the 3rd team he played for?? Is this more of the media bias against Al Davis’ Raiders who seem to come up on the short end when it comes to Hall of Fame consideration?? A part of this has to do with the Raiders moving from Oakland to Los Angeles and then back to Oakland in 1995. Those Los Angeles sportswriters didn’t honor the team and campaign for those players once the team went back up north. Many sportswriters campaign for players whom they lobbied for their team to draft originally and usually in the 1st round. His rocky path to Oakland through Dallas and New York is why he didn’t have that. Yet they have/had a responsibility and shouldn’t have taken it out on those player’s legacies. I see Bill Plaschke and J.A. Adande all the time on talk shows over on ESPN when they have an obligation as history’s gatekeepers with their fellow writers and they have failed. They are why Todd, Head Coach Tom Flores, Lester Hayes, and Cliff Branch are on the outside looking in. It’s time to right these injustices. Christensen deserves to be enshrined in Canton. Although we lost Todd, who passed in 2013, his family and Raider teammates should be able to share in that final honor. For induction into the Pro Football Hall of Fame, I present to you, Todd Christensen. Coach Mike Holmgren being carried off after winning Super Bowl XXXI. Former Packers coach Mike Holmgren was inducted into the Green Bay Packers Hall of Fame last week and didn’t have his two marquee players there with him. Of course the deceased Reggie White couldn’t attend but Brett Favre’s absence was glaring. It would have been in Favre’s best interest to have taken the high road and gone but the lingering hard feelings are evident. It’s time to mend this broken relationship. What is disturbing is how fast Packers fans turned on him. How hard would it be to leave a job you loved to do?? Many of us can’t answer that because our professions were something we chose to do for financial reasons not one of passion. For every “cheesehead” Packer fan: Can you tell me anything about John Brockington or Terdell Middleton?? You remember those guys right?? How about Vince Ferragamo?? He was the quarterback that took the Los Angeles Rams to Super Bowl XIV against the Steelers. You do remember he played for the Packers right?? What number did he wear since #15 was obviously retired for Bart Starr?? For those of us that are 40-45, when we were kids, none of us living outside of Wisconsin could tell you we had met a Packer fan. After Lombardi, it was 29 years before the Packers played for another NFL title. Green Bay was the place no one wanted to play for. In fact one of the famous quips on NFL Films by Buccaneers former coach John McKay, ” If these guys won’t get back I’ll run ’em to Green Bay.” This was during Tampa’s horrid 0-26 start as a franchise!! The only Green Bay games of distinction during that 3 decade drought that anyone can remember was the 1982 NFL Divisional Playoff loss to Dallas 38-27 and the 1983 Monday Night win over the World Champion Redskins 48-47. The latter was the highest scoring Monday Night Game in NFL history. The Packers returned to national prominence when WR John Jefferson was traded from the San Diego Chargers for those early 80’s seasons. Brett Favre made it fashionable to be a Green Bay Packer fan. The real reason why folks can’t remember the aforementioned names and the two games I stated were many of you weren’t Green Bay Packer fans. It didn’t become fashionable until the era of Brett Favre and Mike Holmgren. You may have been cheering for the Los Angeles Rams, St Louis Cardinals, Dallas, or Oakland, but this nationwide surge of Packer fans is new. You can recall the rich Packers history from the 1960’s but the other years lie somewhere in the abyss. Well in 1992 all of that changed. Brett Favre was on the bench when Don Majowski fell to injury and an umproven player had to come off the bench. We remember him winning the game with a pass to Kittrick Taylor with :23 left in the game. He ran around like a child after winning his first NFL game. He did it again when he did it with less than :40 to go to win his first playoff game when he hit Sterling Sharpe in 1993. He played with passion and from the hip. He broke Ron Jaworski’s record of consecutive games played at QB (114) the week of Walter Payton’s death in 1999. He was still playing in 2009?? During his 16 years he gave everything he could on the field for the Packers. Other quarterbacks are more revered as “West Coast” quarterbacks yet none of them had better seasons than he did. Do you realize the most TDs Joe Montana threw for in a season was 31 during the strike shortened season of 1987?? Brett threw for 38,39, and 33 in 1995-1997 alone in that same offense. He won those 3 MVPs in those same years. He gave real Packer fans and NFL fans everywhere more thrills than any other player. The “go for it” mentality is what endeared him to most fans not his stats. Although he has plenty now that he is the NFL’s all time winningest quarterback and yardage leader with 71,838 yards and 508 TDs. The question The Chancellor has if he didn’t do enough to decide on when he wanted to retire, who did?? The Packers organization decided to go with Aaron Rodgers after the 2007 season when Favre didn’t want to retire. His decision and indecision was well chronicled over the next few seasons yet it was his play that led the Packers to relevancy. Just like last year it was pointed out that the Super Bowl in Indianapolis, and Lucas Oil Stadium itself, wouldn’t be in existence had it not been for Peyton Manning. Lambeau Field has been renovated twice and had a Hall of Fame built inside of it based on the relative wealth this team saw during Favre’s years. The estimated wealth of the Packers rose from less than $200 million to $1.09 Billion last year according to Forbes. This is good enough for being the 9th richest franchise where they were in the teens in relative worth a decade ago. In fact when you google the relative worth of the Packers organization by year, every time Favre’s name is in the description. You were able to rebuild your team for Aaron Rodgers because of Favre continuing to win for you while the young players developed. You owe your relative wealth and the development of the new Packers to him. This is the reason I believe the Packers should reach out to him, retire his jersey on a Monday Night, and have a ceremony for him. Do it before long-standing resentment settles in. It would be terrible to see this fractured relationship go on for decades like it did for Terry Bradshaw. By the time he and the Steelers came together, Art Rooney Sr, Mike Webster, and Steeler announcer Myron Cope had all passed on. In fact Three Rivers Stadium was even gone. It was bittersweet. In a few years he is eligible for the Hall of Fame and the league is going to celebrate him and its in the Packers interest to do it first. If you wait until its within a year of his induction, it will look like an afterthought or at worst a knee jerk reaction to his being brought up nationally. This way the healing can start. Every player that leaves via free agency has wanted to show their old team they could still do it. Its nothing new. Do you remember the round robin of former Chiefs signing with the Raiders and vice versa in the mid 90s?? There were 10 players that left one team and went to the other. RB Harvey Williams, RB Marcus Allen, CB Albert Lewis to name a few. 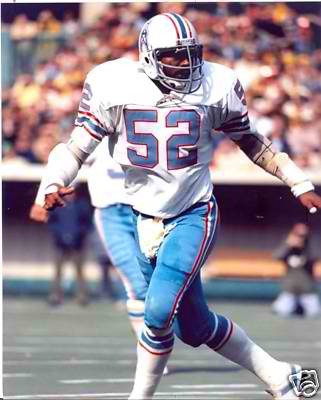 Even Buffalo Bill great Thurman Thomas even signed with the hated Dolphins. Yet he, just like LaDainian Tomlinson this year all came back and signed a 1 day contract so they could retire with their original team. You’ve lost that chance but now you need to make sure he attends the next ceremony. Honor him before the rest of football does or you’ll come off as looking petty. After all you showed him the door…now open a new one and honor him in Packer lore. Time to get over it… now when he walks up to the podium and you see the wear and tear he gave on Lambeau’s surface, the memories will come flooding back to you. Try this one out: This is the moment The Chancellor believes he left his contemporaries behind and made the Hall of Fame. After the departure of Packer Hall of Fame coach Mike Holmgrenand Reggie White’s retirement, the Packers weren’t thought of as an elite team. This was 1999 and Ray Rhodes was the coach and being the only marquee player, the team started off 1-1 and in that lone victory Favre took the Packers to the winning score beginning with 1:51 on the clock. Their 3rd game was against the Minnesota Vikings who had unseated the Packers the season before as the bully on the NFC Central block. Randy Moss and the Vikings had scorched the Packers a season before and this was a big game. A defensive struggle that saw Moss score the apparent winning touchdown and gave the Packers the football with 1:51 (ironically) to go. Favre drove his team down and this was the finish…on the move with no time outs on 4th down and the clock running with :20 seconds to go. No way he could do it for a second straight week…. could he?? Only two times during John Madden’s career did he make his way down to the locker room to congratulate a player. The first was Emmitt Smith in 1993 when he and the Cowboys beat the Giants 13-10 when he played with a separated shoulder. This was the second. Great players respect great players and you saw Moss come across and greet Favre after the game. A game for the ages that saw him pull off miracle after miracle and had the Rams and Kurt Warner not emerged, could have had his 4th straight MVP. Again, as an organization step up and bring Favre in for a retirement ceremony of #4. He deserves it and it would be best for Packer fans and NFL fans everywhere. Its time. Postscript August 13, 2016: We fast forward 4 years and last year his return to Lambeau Field was an incredible event. Over 60,000 in Lambeau just for Farve to come on the field and offer a few words before the Packers Hall of Fame celebration. Then the jersey retirement during the season where Bart Starr made it to the game was cathartic for all NFL fans not just those of the Packers. 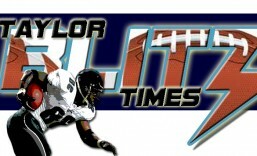 Which brings us to last weekend and his enshrinement into the Pro Football Hall of Fame. Packer fans traveled far and wide to attend the enshrinement festivities last weekend. Met them from North Carolina, Florida, Mississippi, all of Wisconsin and like my new fellow fanatics Ryan VanAcker (from Arizona) and his brother Ronald from Michigan, Favre fans were out in force. Although time heals all wounds, there was still the subtle jab of the Favre Viking jersey in the locker display at the Hall of Fame. He said all the right things about “always being remembered as a Green Bay Packer” but you think about it… you can almost see him having a mischievous grin when it came time to decide what to showcase. But that’s Favre… the fun but flawed, every man who happened to become one of the best quarterbacks in history. Where Brett wasn’t there for Mike Holmgren’s enshrinement into the Green Bay Packers’s Hall of Fame, coach was in Canton for this one. I had the chance to meet him right after the ceremony and it was a great experience to be there. As we left Tom Benson Stadium headed for the shuttles to the Hall of Fame after-parties, Holmgren and I spoke of the ceremony and I let him know I thought he will be in Canton one day. The irony of this article hit me like a ton of bricks. Congratulations Brett Favre… Pro Football Hall of Famer!